the second one will be available for 25% off the regular price. Posted in Book sale	| Tagged Barnes and Noble, Nook	| Comments Off on Do You Have a Nook? 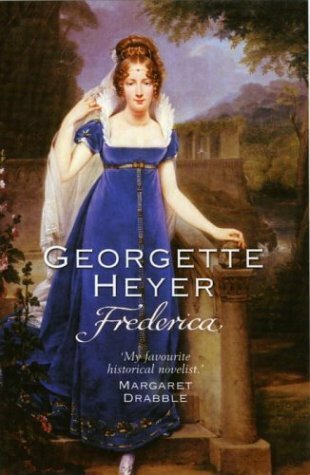 What’s the Most Romantic Book You’ve Ever Read? 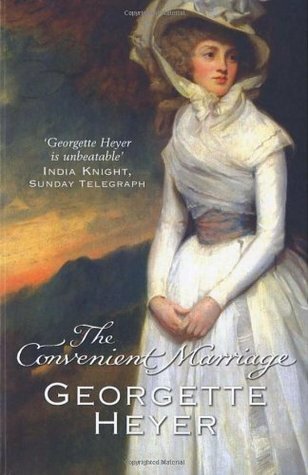 What’s the Most Romantic Book You’ve Ever Read? Which and Why? 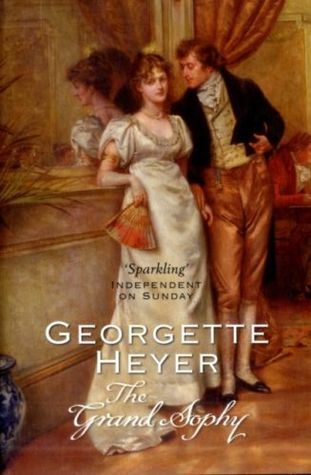 If you’re interested in more about Miss Heyer, here’s a link to her Goodreads author profile. Click here. Another wonderful cozy mystery by Lorena McCourtney! This is the final story in the Braxton family vs Ivy Malone. And was there any doubt about who would prevail? Still the story is filled with twists and turns that left me guessing to the end! and of course, ROMANCE! Mac finds he can’t do without his “ivy” fix. Highly recommend this whole series and the next one–The Mac and Ivy Mysteries! To purchase or learn more, click the cover. If you want to start at the beginning, here is INVISIBLE, book 1, which is free on kindle. 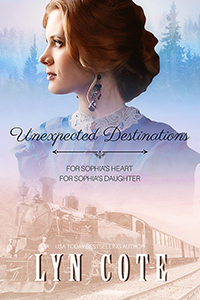 click cover. Something Old is New Again! but the boxed set is $3.99 for both! 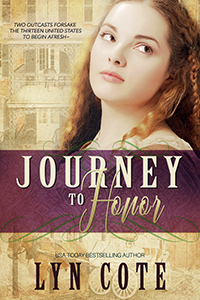 If you haven’t subscribed to my newsletter, click here to do so and get a chance to win a free copy! For more info or to purchase, click here. 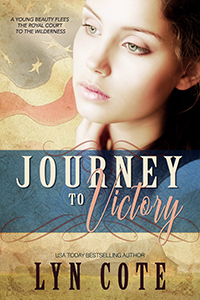 Posted in New Book Release	| Tagged historical romance, world war one	| Comments Off on A New Book Today! How about Sharing Special Christmas Ornaments? How about sharing your special Christmas ornaments? We all have them don’t we? 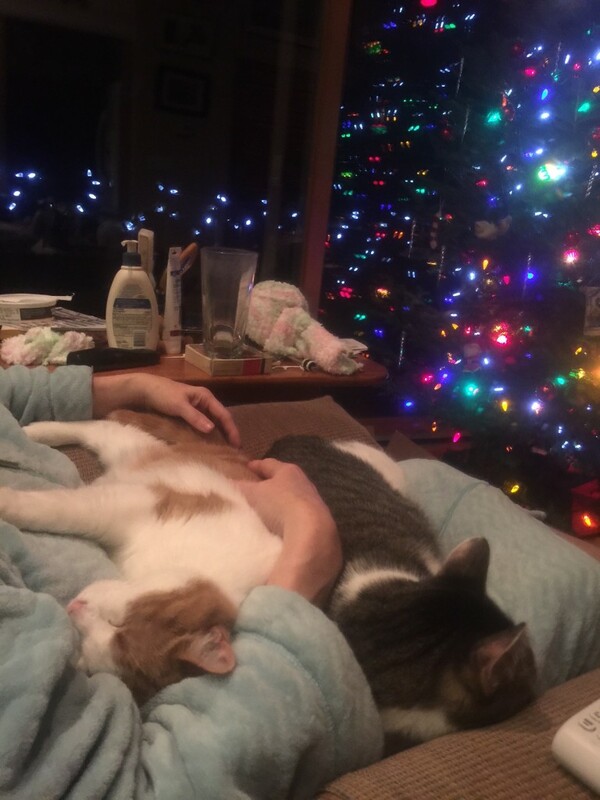 The photo above is my cats napping on my lap as I sat in my cozy robe by the Christmas tree. 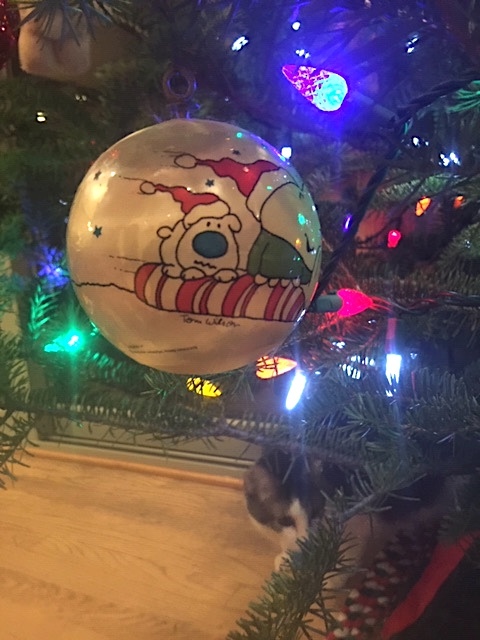 I was thinking about some of the ornaments the other day. Here are a few who have specail memories for me. 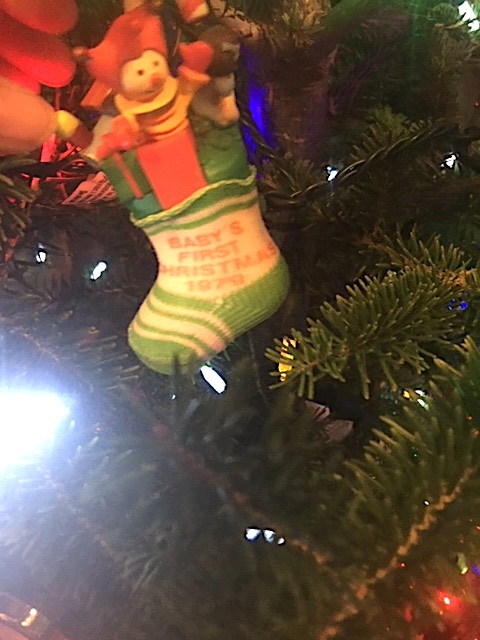 This is my son’s BABY’S FIRST CHRISTMAS ORNAMENT, a present from my sister in law. Here is my daughter’s first Christmas ornament, a gift from a friend. Do you remember Ziggy? 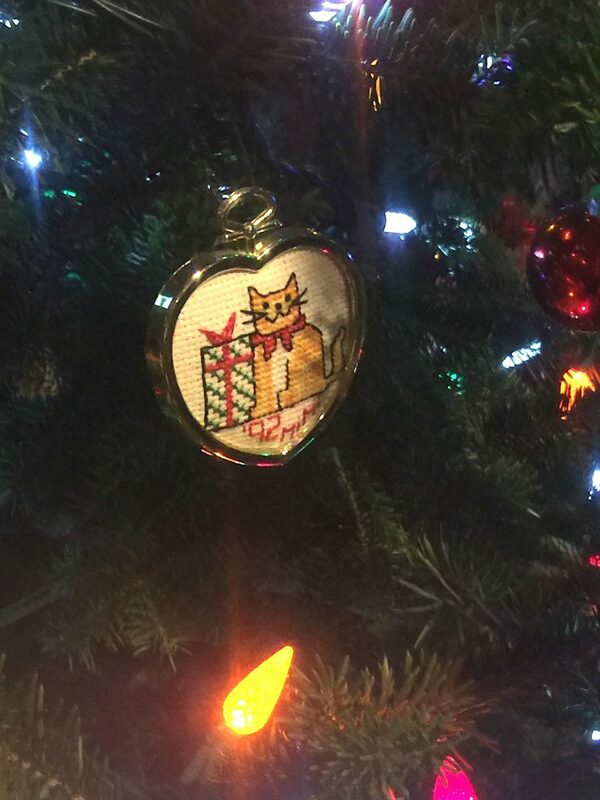 I cross-stitched this ornament (don’t do that anymore!) It reminds me of my husband and I when we first married–except for the top hat–he never wore one of those! 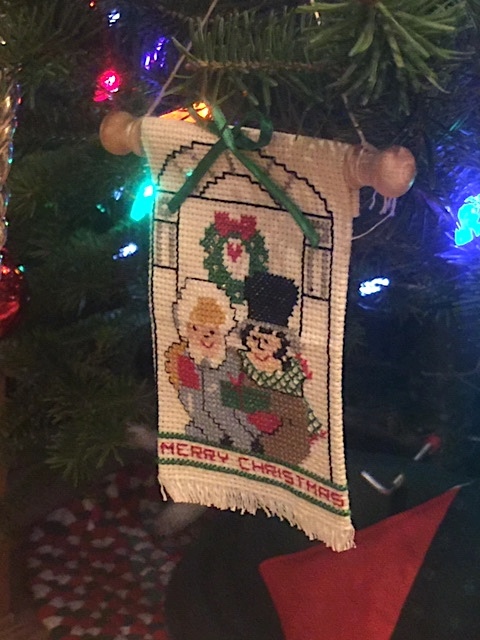 Here is another of my cross-stitched ornaments. I made this for my daughter who loves cats as much or more than I do and it is stitched with her nickname, Mimi. 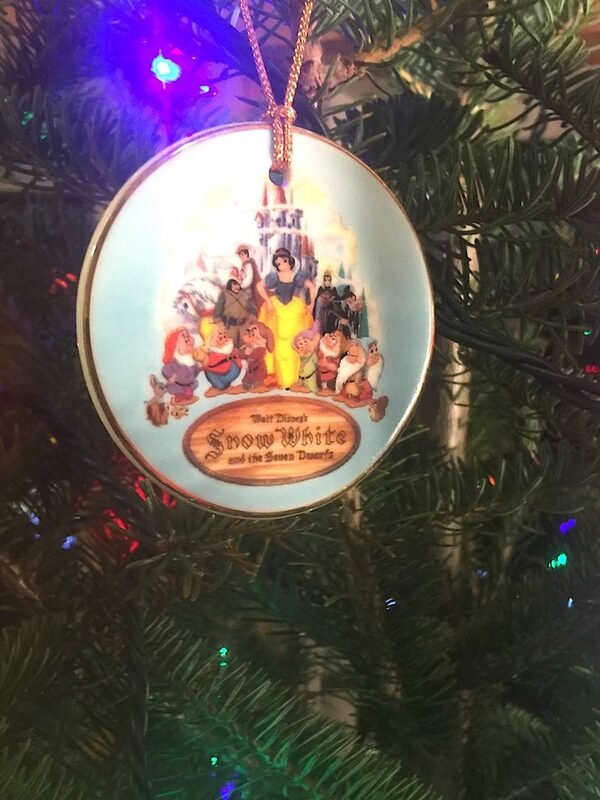 This is special to me because I bought it the last time I went to Disney World and I lost a friend soon after. Posted in Personal story	| Tagged Christmas ornaments	| Comments Off on How about Sharing Special Christmas Ornaments? 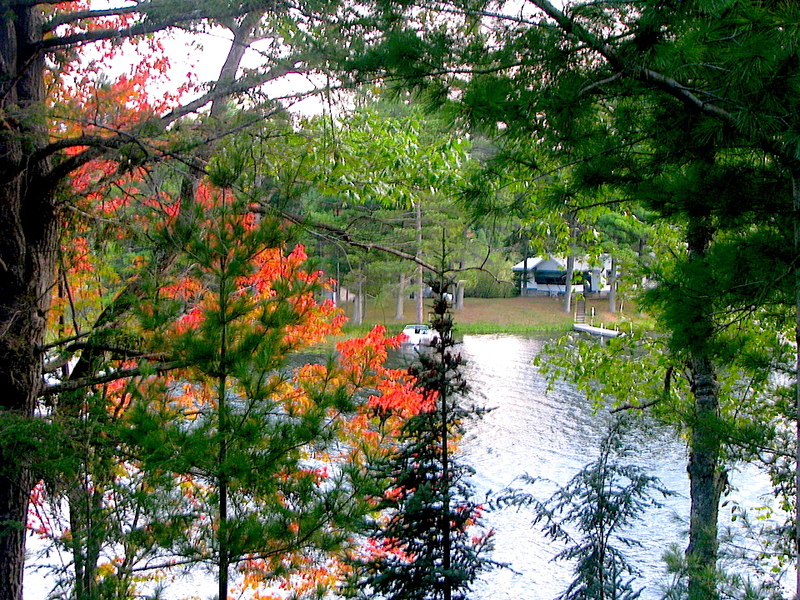 Above is a photo of a place that my dh and I love to visit in the summer. 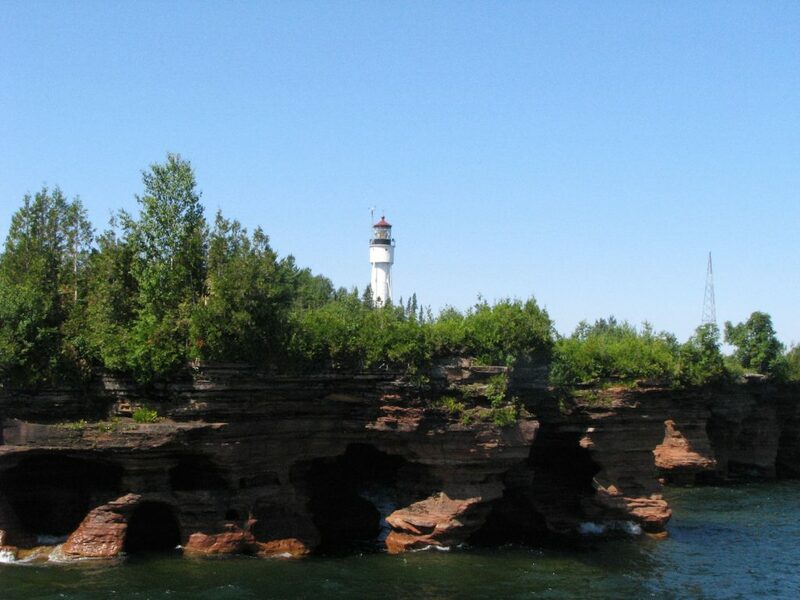 It’s a 3 hour drive to Lake Superior but we love the rocky coast of the Apostle Islands and I WANT TO GET THERE THIS SUMMER! SO? To learn more or purchase, click here. Lyn Asks A Timely Question–You Could Win a Free Ebook–Why not try? The above photo is taken from my front porch on a November morning. 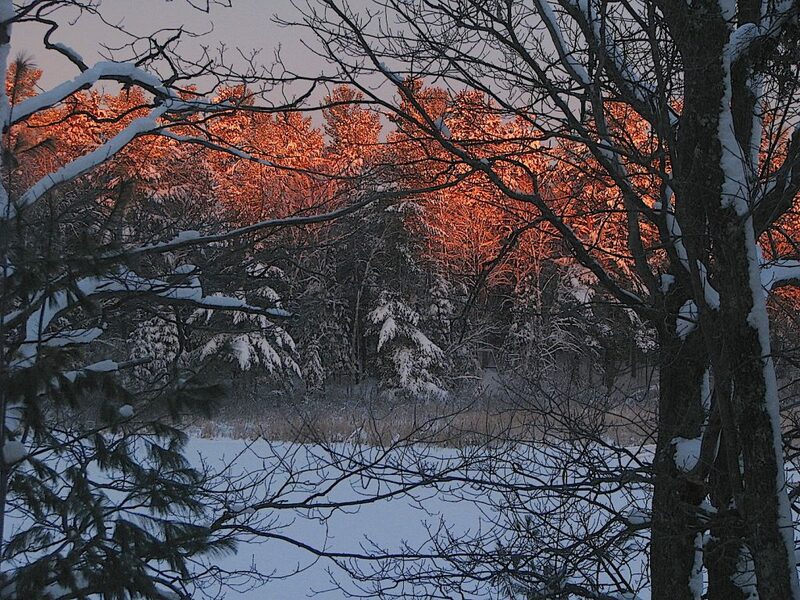 The dawn had cast a fiery copper light onto the trees across the frozen lake. So far this year the lake is still liquid and blue but who knows when the skim of ice will begin to move over the surface and become like glass? I’ve shared a photo with you and would like you to share with me. Every commenter will be entered into a drawing for copies of an ebook of mine. I don’t know how many I’ll give. It depends on the comments so please share more than one word. I’m really itnerested in you and your holiday. Will you be cooking Thanksgiving or going to friends or family? Will you be traveling? And what’s your family favorite food or tradition for Thanksgiving?